The AA240FS fast sequential atomic absorption spectrometer brings the productivity and speed of analysis of ICP-OES to AA. Just like an ICP-OES, the AA240FS measures all elements in each sample, before progressing to subsequent samples. Conventional AA systems still determine one element at a time, repeating all samples for each element in turn. AA240FS provides complete results for each sample in minutes. Compare the difference for yourself. In addition to saving you valuable time and improving sample throughput, the AA240FS also reduces running costs, as more samples can be determined in less time. The AA240FS is controlled by our acclaimed Windows based Worksheet software. Use multi-tasking capabilities to start today's analysis while simultaneously preparing a report on yesterday's results. And of course, the AA240FS can be fitted with the full range of Varian AA accessories to provide extra capabilities. 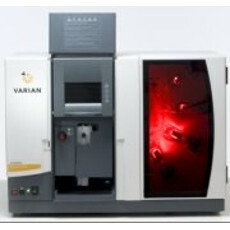 New and used Varian AA240FS's for sale on LabX below. Find the ad listing you need and get price quotes from a variety fo vendors.